The unique location in the New Forest National Park provided the inspiration for the Herb House Spa. 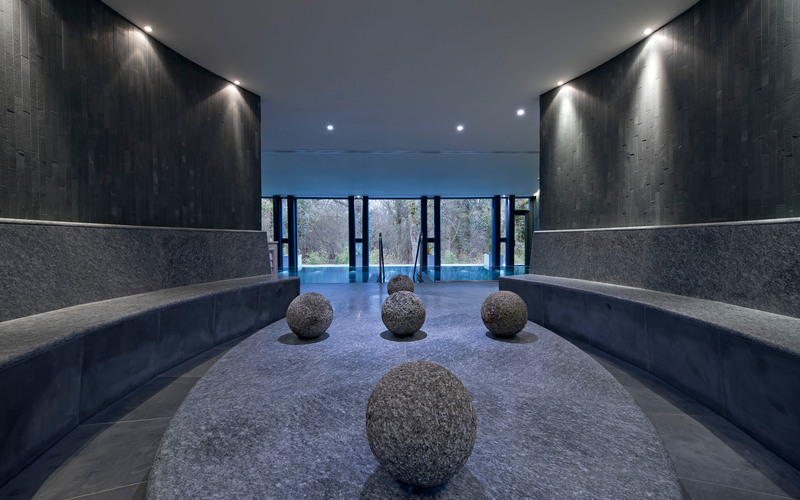 Natural materials combined with state-of-the-art facilities make the Herb House Spa a very special place to visit. Total area: 2000m² over three floors. 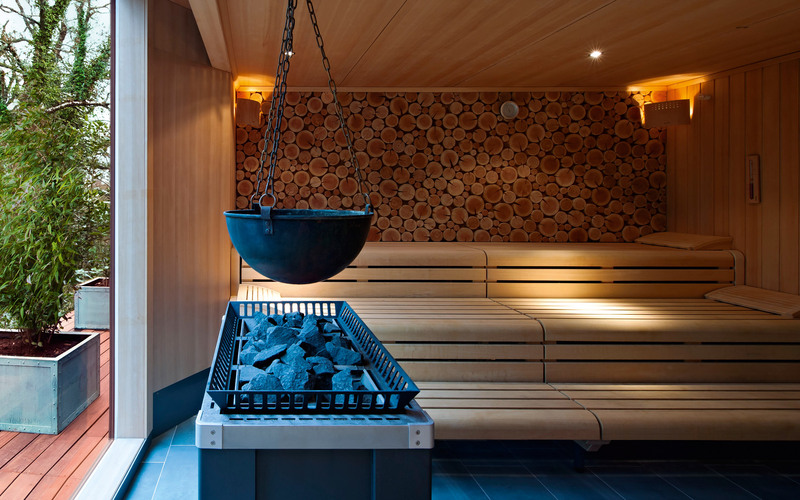 Ground floor: forest sauna with tree trunk panelling on the interior, mud bath, steam bath, caldarium. Private spa with double treatment room, steam bath and private garden with pool. 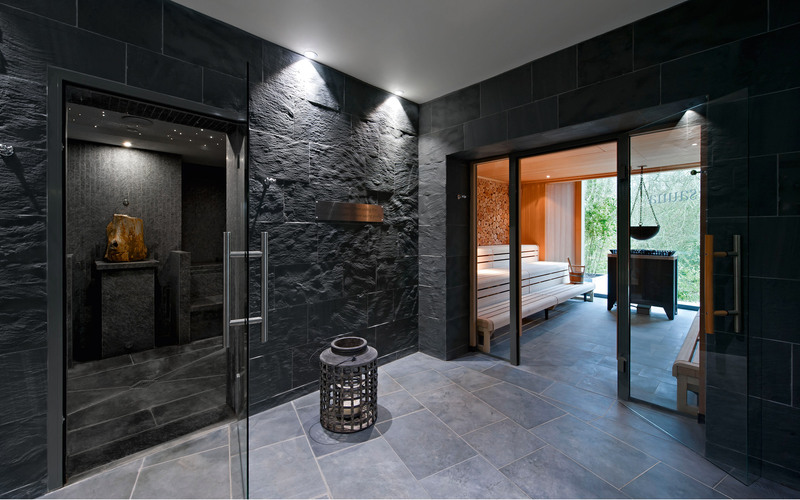 Private spa bath house with double treatment room, indoor pool and steam bath. Eight single treatment rooms. Large indoor pool. Hydropool. Outdoor Steaming Hot Pool. Roof: rooftop sundeck and meditation areas. 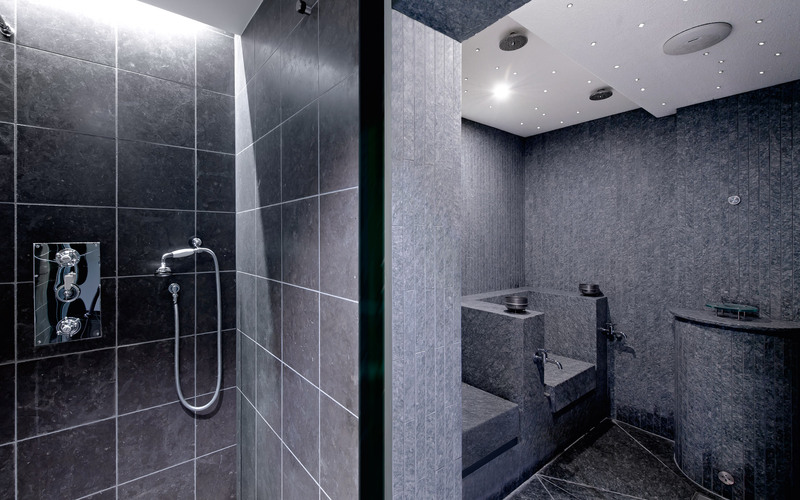 Basement: relaxation areas, gym, changing rooms and showers. Natural stone & oak flooring throughout. Muted colours have been used throughout the entire spa – warm creams, elegant greys and a hint of green. Slate and glass mosaic tiles have also been used to create a natural and very appealing atmosphere.